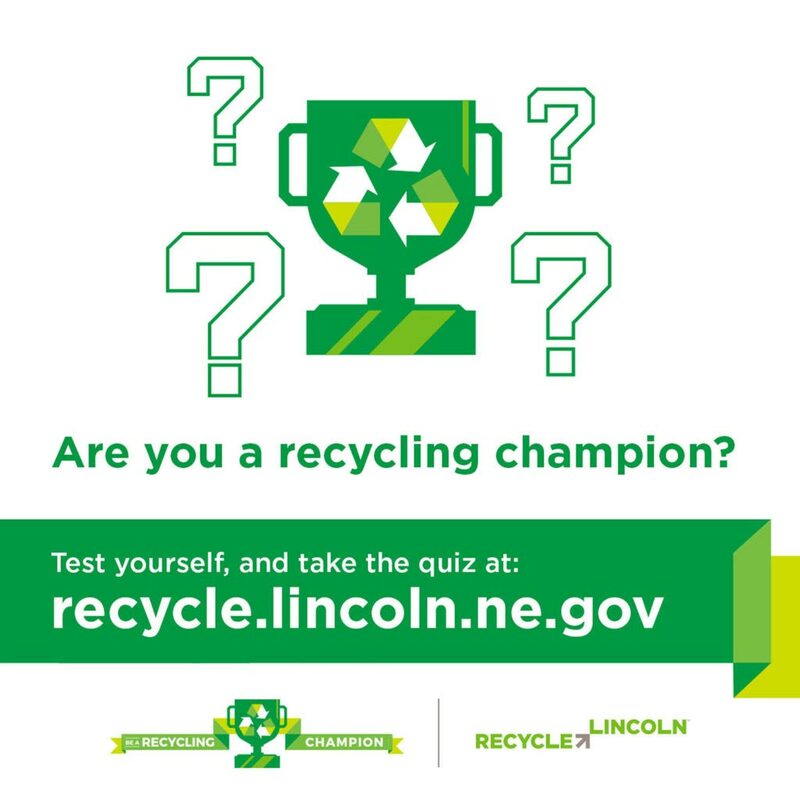 In late 2016, the Solid Waste Management Division of the City of Lincoln Public Works and Utilities Department set forth a Solid Waste Management Plan to develop a public education campaign to reduce the amount of contaminated materials in residential curbside recycling cards in Lincoln, Nebraska. 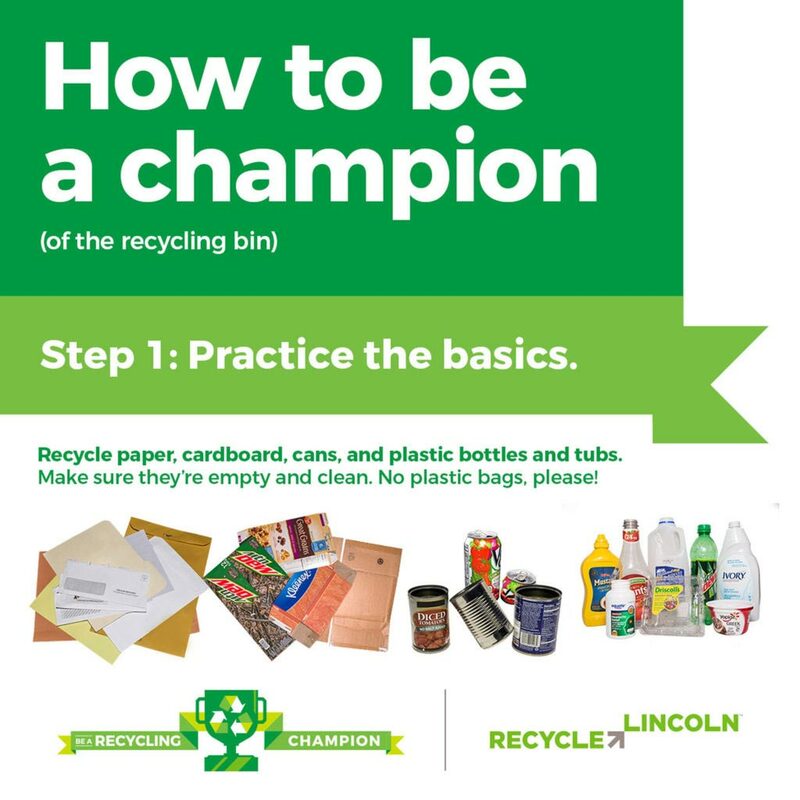 Our “Be a Recycling Champion” campaign was designed to reach current residential recyclers and help them understand which materials are and are not acceptable to dispose of into recycling bins, thus improving their recycling habits. Using the rhetoric of teamwork, competition and championship, the campaign illustrated the community victories of proper city-wide recycling and reduced waste headed to the landfill. 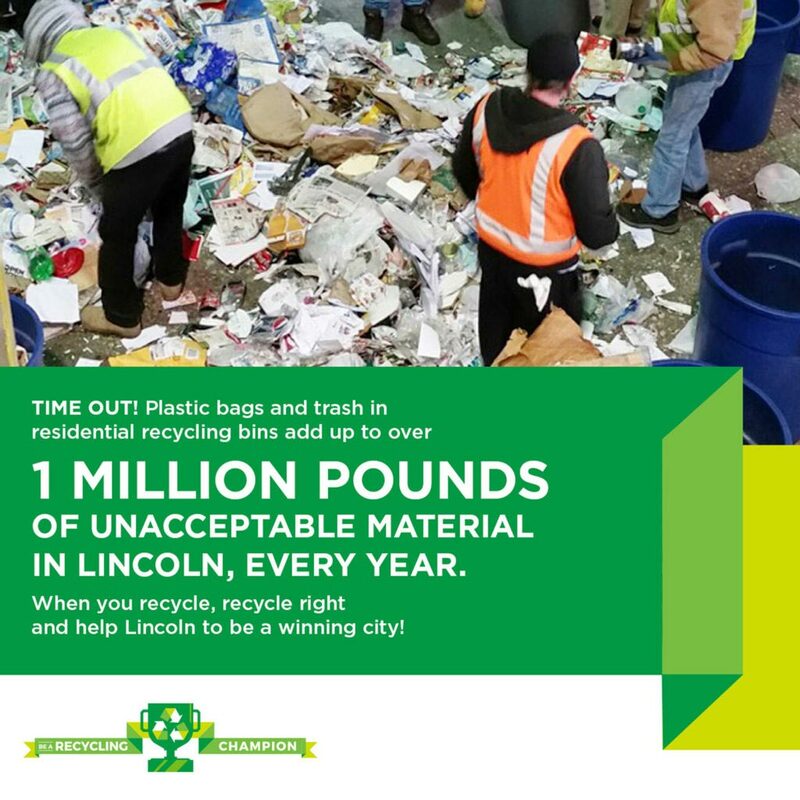 To reach our target audience of Lincoln residents, we approached this campaign through a community-based social marketing framework, which places a strong emphasis on first working to identify specific barriers to (and benefits of) a desired behavior. With our partner, Verdis Group, we deployed the following strategy: 1) engagement with city and recycling organization stakeholders via meetings and surveys; 2) an online survey for households; 3) face-to-face community engagement and canvassing; 4) educational materials provided for waste haulers; and 5) a multimedia public information campaign, featuring digital, broadcast, and print deliverables. 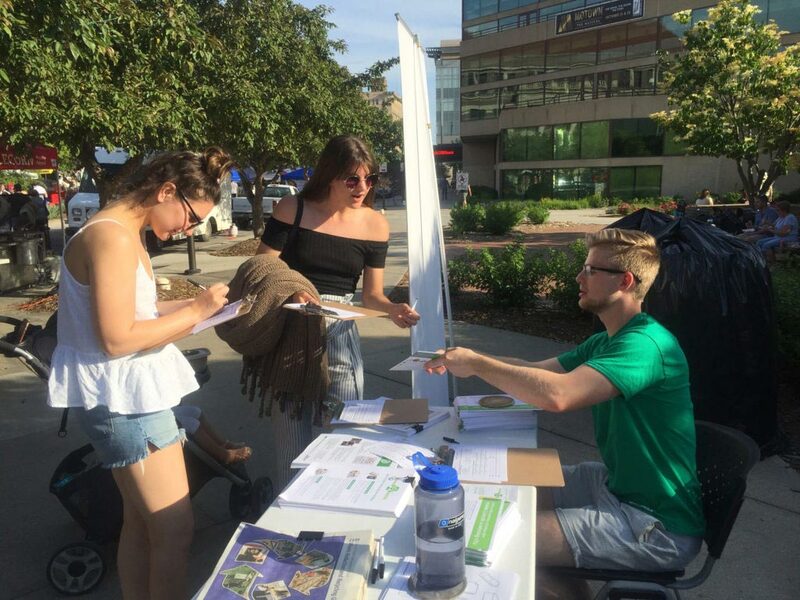 The campaign resulted in nearly 1200 face-to-face conversations during canvassing and tabling events such as Earth Day and Jazz in June, as well as increased media impressions and website traffic to the City of Lincoln’s online resources. Ultimately, waste audits conducted before and after the campaign illustrated a reduction in contaminated recyclables. 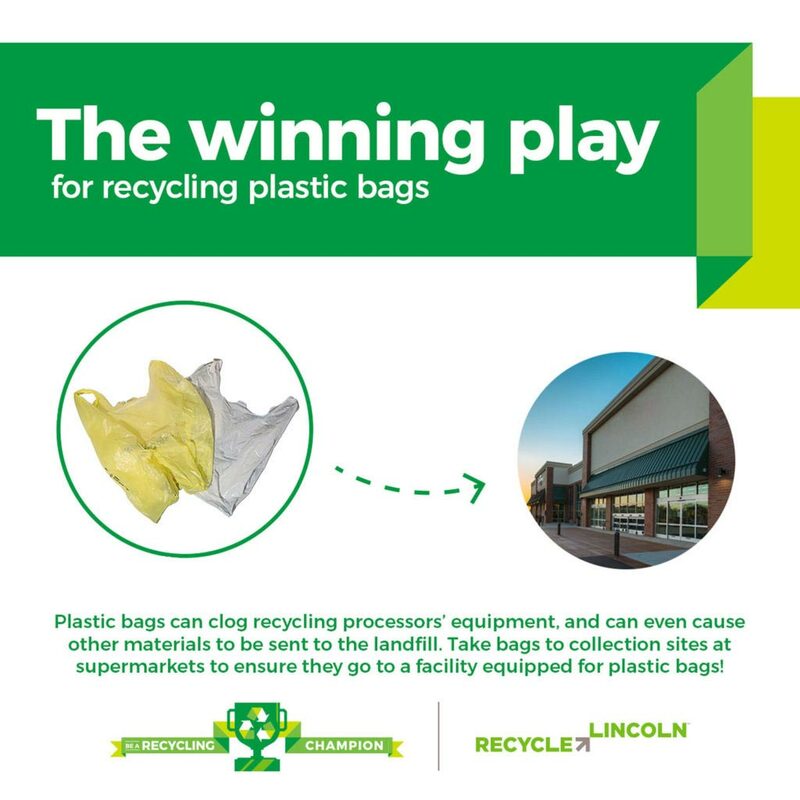 To ensure long-term success, we developed guidance for the City of Lincoln to continue the campaign after our involvement, laying the groundwork for wider recycling education initiatives to occur in the future.